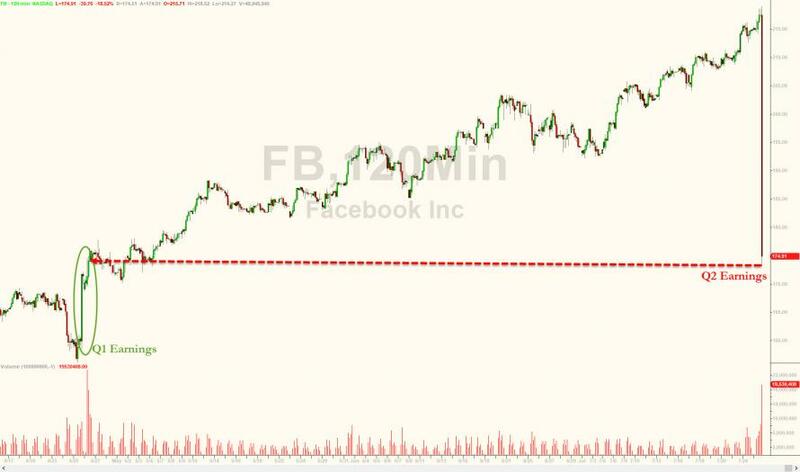 Update 2: Well that escalated quickly: FB is now down over 20% from its closing highs, losing over $130 billion in market value and erasing all of post-Q1 earnings gains, making Mark Zuckerberg $16 billion poorer, and officially entering a bear market. 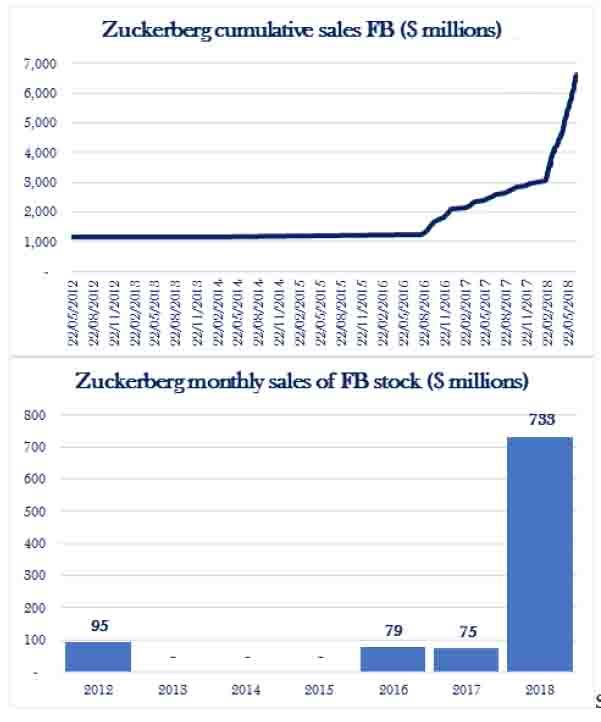 Is it any wonder he has been selling to the max...? 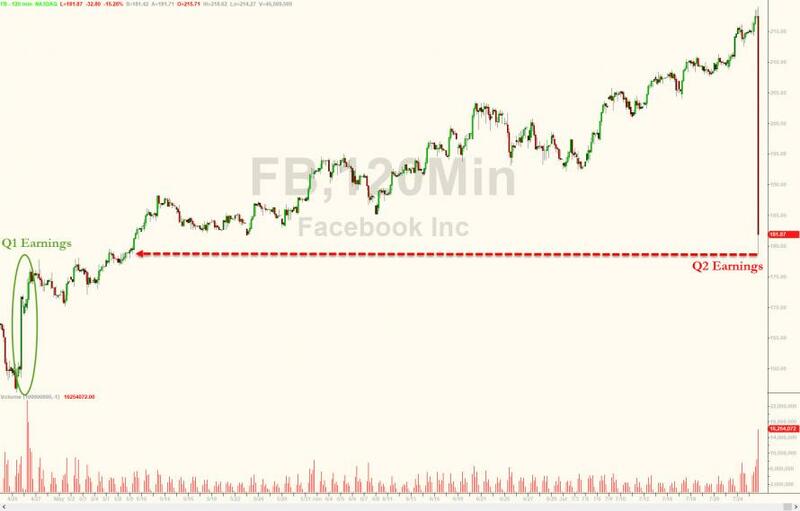 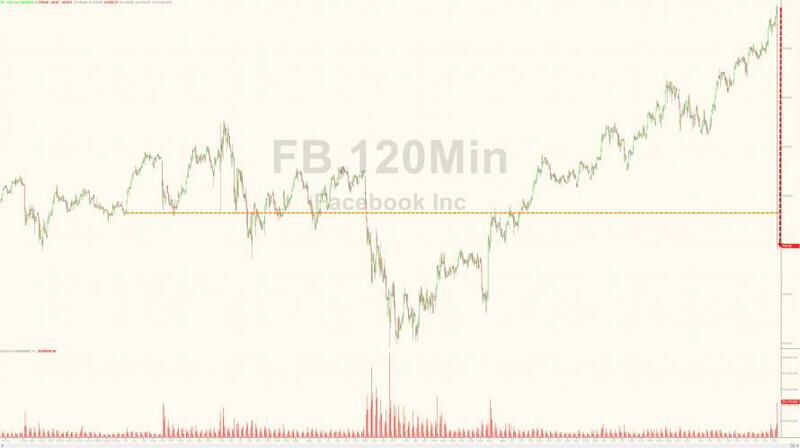 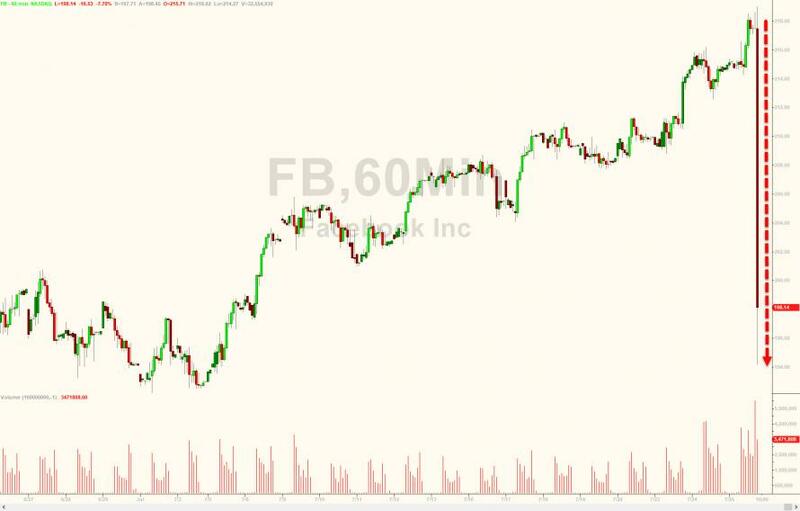 Facebook shares were bid all day ahead of earnings, closing at a record high - up over 35% since the last earnings on April 25th - despite warnings of higher costs, lower user engagement, and investment in "time well spent" -- a term invented by a former Google employee to tackle the problems of technology addiction. 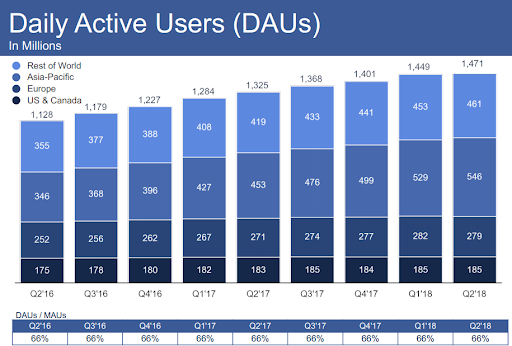 This is the weakest MAU growth on record..
“The core Facebook platform is declining,” said Brian Wieser, an analyst at Pivotal Research Group. 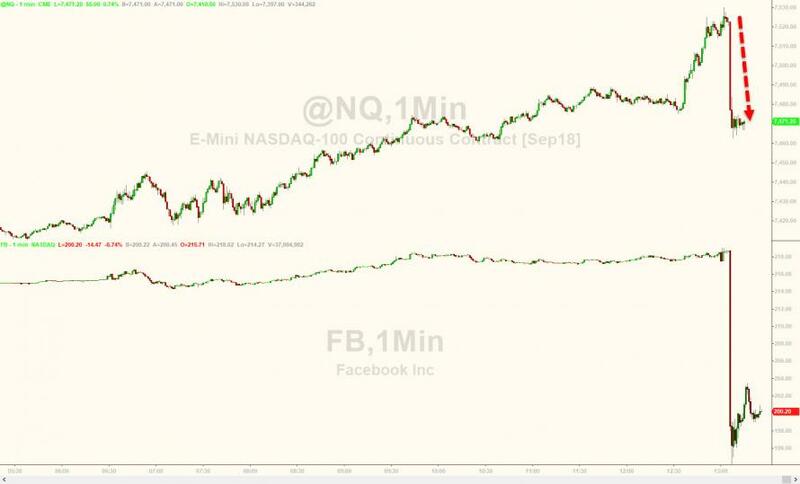 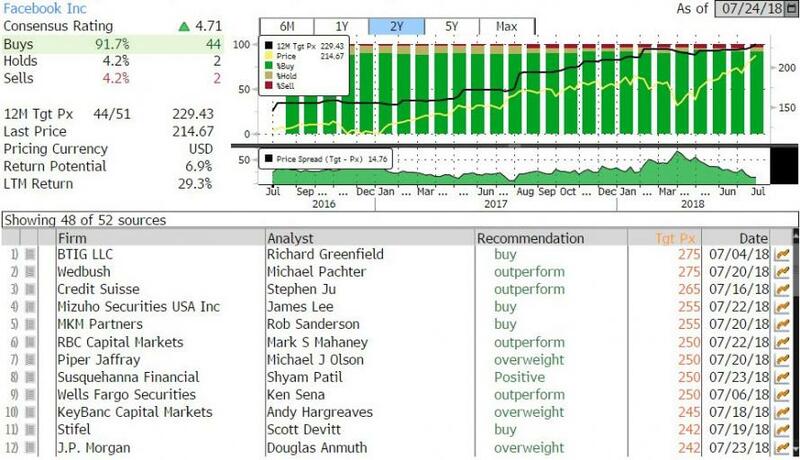 The size of the drop likely reflects the fact that this is a rare occurrence for a company that has consistently beat analyst and investor expectations. 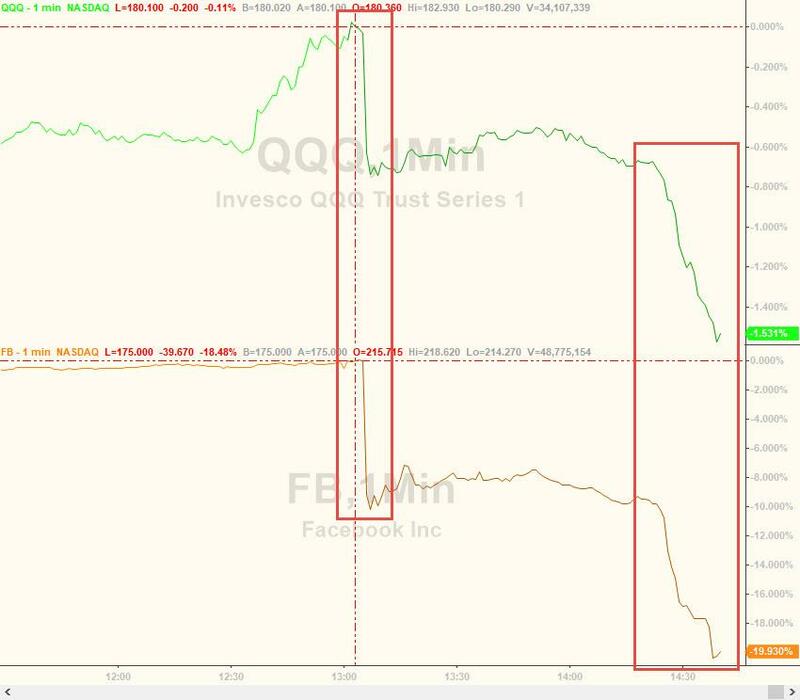 A massive rise in headcount appears to confirm that analysts dramatically underestimated the impact of Facebook's scandals on user engagement. 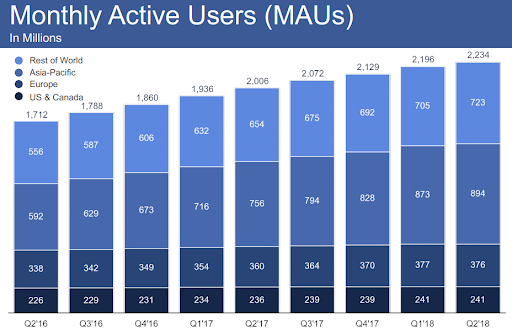 Who could have guessed - an army of free speech censors and the exposure of various privacy invasions may have spooked more than a handful of potential users. 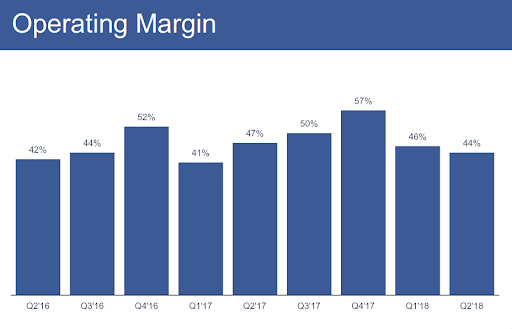 All of which meant that operating margins also declined to 44 percent from 47 percent a year earlier. 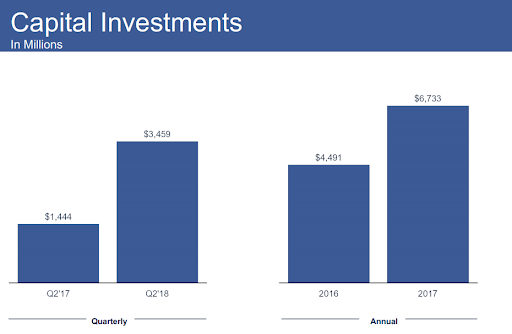 Facebook is feeling the pressure from all of its expenditures on content moderation, Facebook Watch, and other experiments. 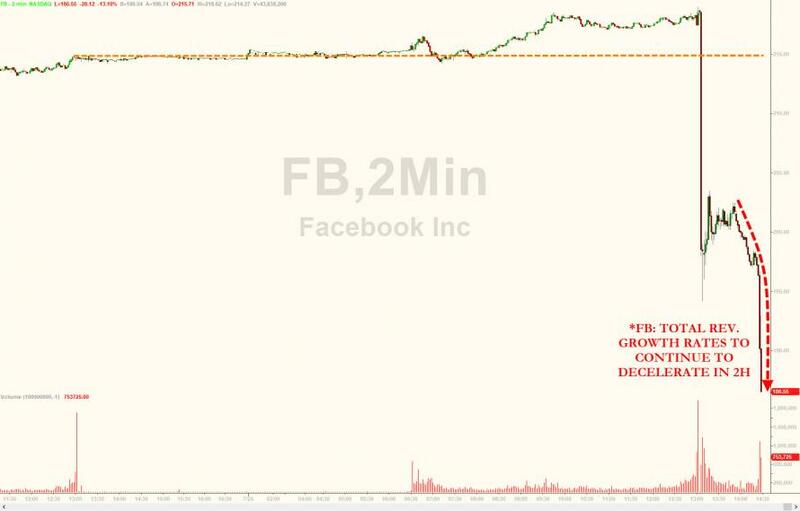 "Our community and business continue to grow quickly," Zuckerberg said. 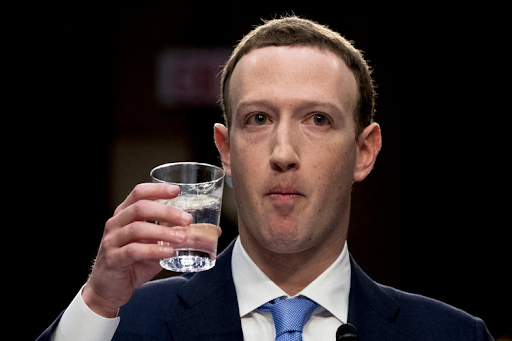 "We are committed to investing to keep people safe and secure, and to keep building meaningful new ways to help people connect." 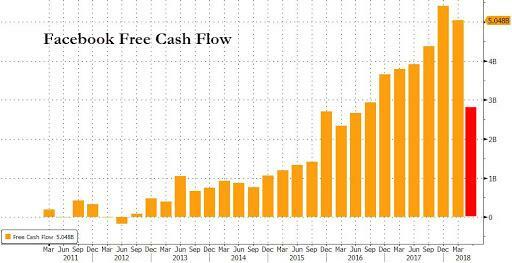 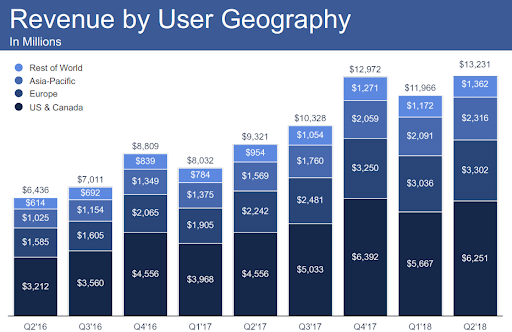 Facebook hasn't missed top line estimates since 2015...so it's different this time? 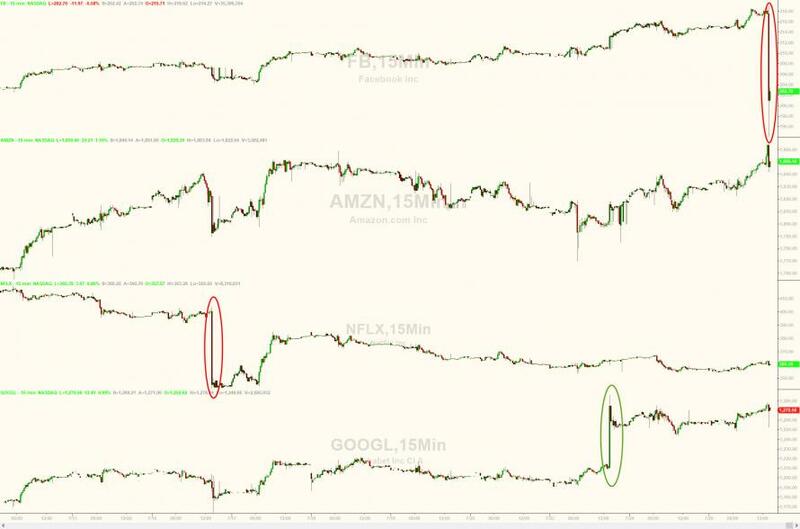 Or BTFD?